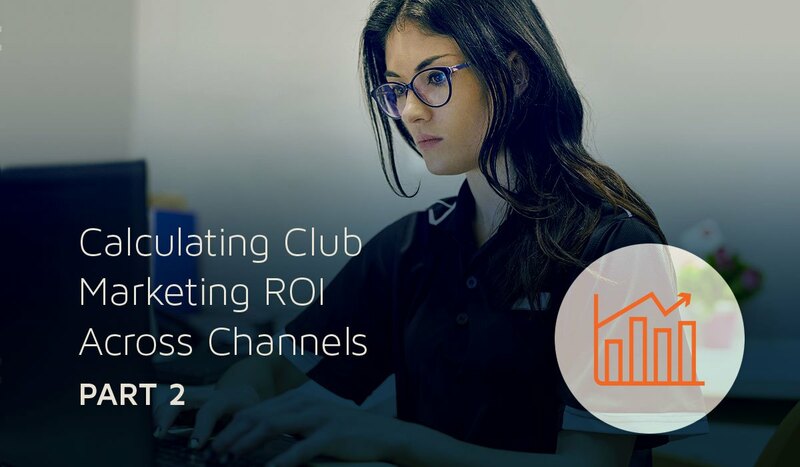 PART TWO: CALCULATING CLUB MARKETING ROI ACROSS MULTIPLE CHANNELS If you missed my last article on preserving a list of “who” was engaged, via “what” marketing tactic, and “when” they were engaged—you may want to take five minutes to read “ PART ONE: “PRESERVATION OF ENGAGEMENT DETAILS ”. We are constantly refreshing Club Clients' membership lists/rosters. Those refreshes are usually timed to coincide with a future engagement opportunity, like an upcoming direct mail campaign, or opportunity to purchase/append email addresses, or scheduled after previous marketing efforts to measure results. We recommend updates at least once a month, unless a client is taking a hiatus or otherwise facing seasonal impacts that limit marketing activity. A file template and consistent methodology for exporting/capturing membership data greatly improves the efficiency of the refresh process. It doesn't really matter whether a member list is in Excel, a CSV, or other text file. What's more important is the type of information provided, such as member name, physical mail address, email address, start or join date, membership type, membership status (i.e., active, frozen, canceled), and any other pieces of potentially-relevant information captured by a Club Client. The very first gut check we do when receiving a new file is counting. Sounds simple, and it is. We count how many active members there are. Does it make sense given how many we had last time? Did the frozen or cancellation number change a lot? Some of our client's computer systems are less friendly toward marketing and sales, and it's vitally important that we feel we have "good" data before we invest much time with it and attempt to derive critical ROI Calculations. More and more of our clients are starting to have us log into their systems, directly, and pull data for them; it makes their life tremendously easier. Whether it is CSI, Jonas or MindBody, just to name three, we're experienced in getting access and writing the queries, reports and scripts to make the refresh process virtually uninvolved for clients. And, to be honest, our data folks prefer it this way, too, as it fits perfectly with a pull-it-when-you-need-it-at-the-last-minute mindset. The more current the data (pull it at the last minute), the more informed it will be for looking back at results, and forward on what to do next. Long lead times work to the detriment of data-driven marketing. Existing, but with changes in status, type, email, name, address, etc. False positives destroy predictive models. Truthfully, Sharp and Fishel are the same person. Elizabeth is my wife, and in our busy lives we never bothered to change her last name. That said, there are a number of other reasons why matching these two records could be wrong. Elizabeth may have just recently moved in and displaced Jeramy. The target property might be a townhome, with Jeramy in Unit A and Elizabeth in Unit B. There are many more examples I won't delve into. The risk of counting a false positive, is it injects false response-based trends into the predictive models. If we count this as a match, all of the demographic, psychographic, life-stage and marketing history for Jeremy feeds the predictive models with a statistical measurement, regardless of whether or not the match is true. If we allow too many false positives (we try to allow zero) into a model, they will start to have a greater impact on marketing decisions based on falsities - a perfect example of GIGO (Garbage In = Garbage Out). Ethics. We don't want to count or show any matches or conversions we don't feel we can transparently share with a client. When a client asks us to send them a list of who exactly converted and why we counted them, there's zero hesitation on our part. The interesting aspect of this method of fuzzy matching is that the actual results are always—as far as I can conclude—going to be better/higher than what we report. There is little doubt more examples of "Elizabeth" exist. There are other nuances our process just won't be able to reconcile. That’s one of the challenges of working with self-reported and self-collected data, and something we are very good at.In the third and final article on this subject, I'll cover establishing and managing multiple sets of business rules to ultimately arrive at club- or client-specific ROI calculations that help us monitor the performance and health of data-driven marketing programs.